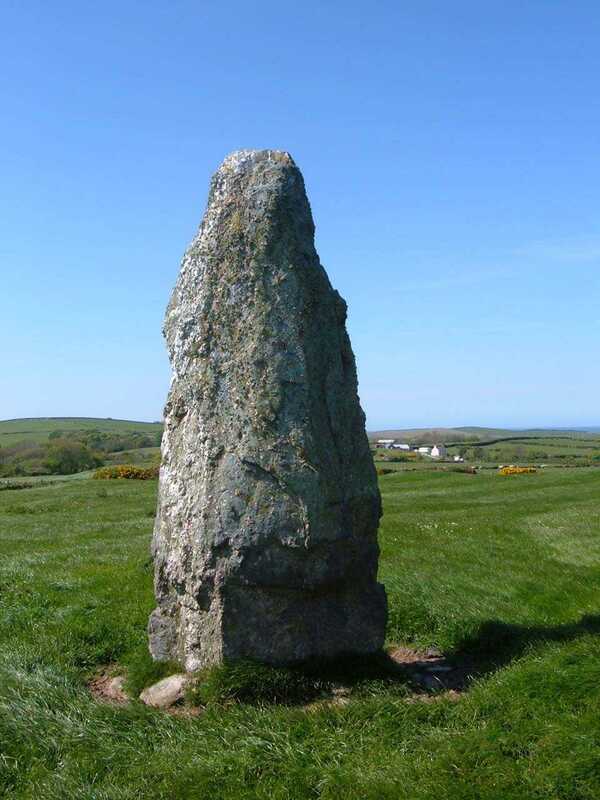 Pen yr Orsedd Standing Stone (1) on Anglesey - an ancient monument on the island of Anglesey. 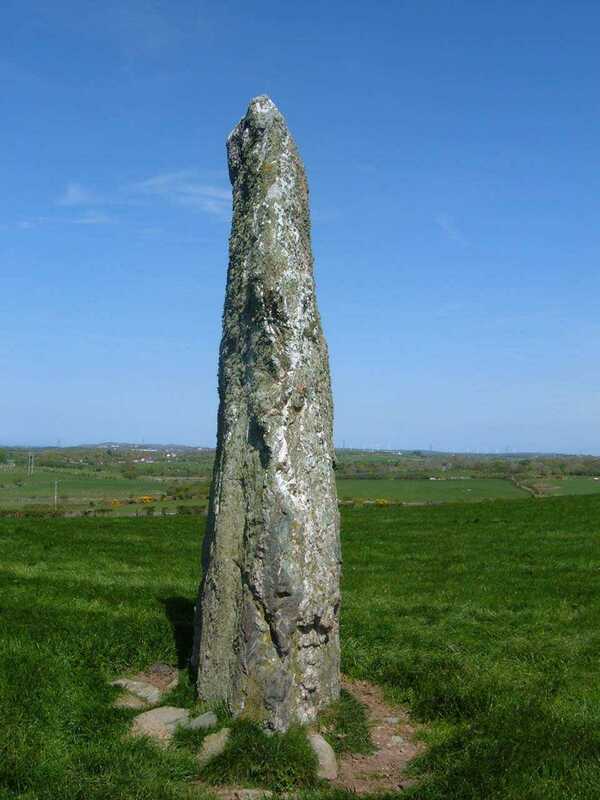 Pen-yr-Orsedd Standing Stone 1 SH 334907. 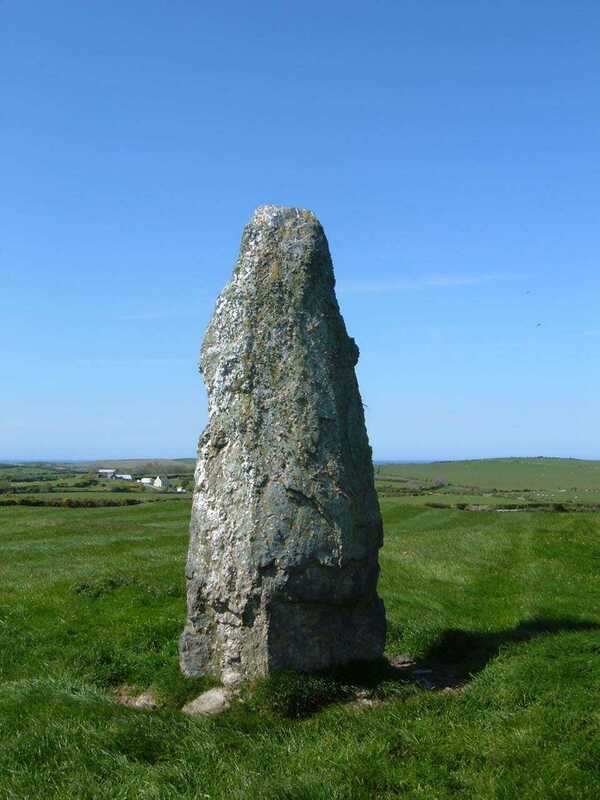 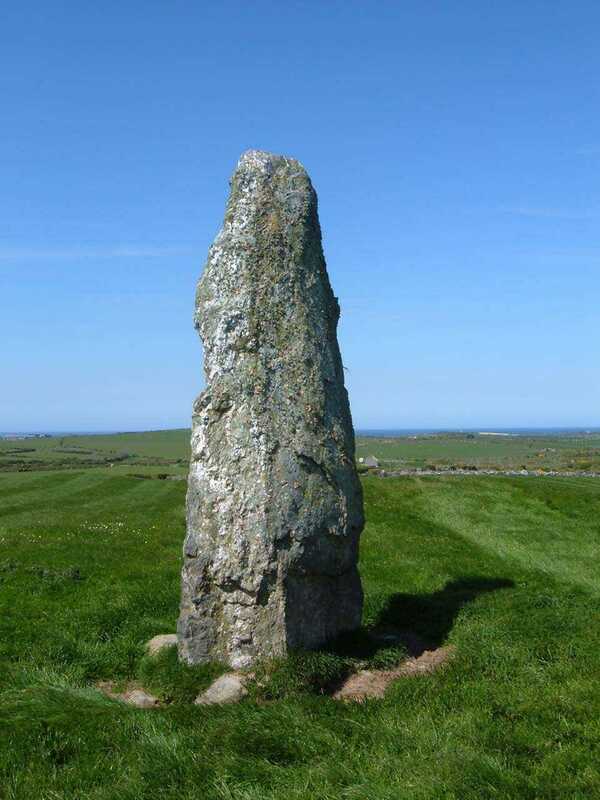 This impressive Pen yr Orsedd standing stone must stand at least 11 or 12 feet tall. 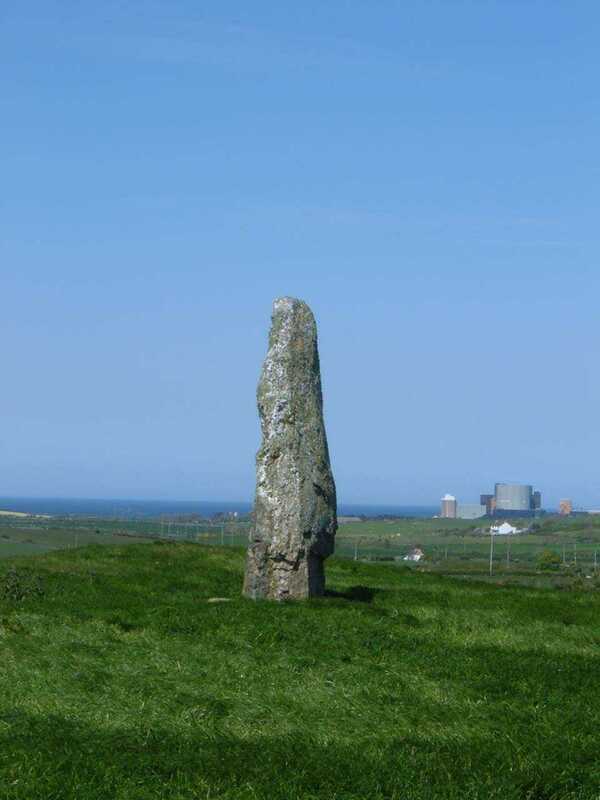 In an elevated position, it commands a view far and wide. 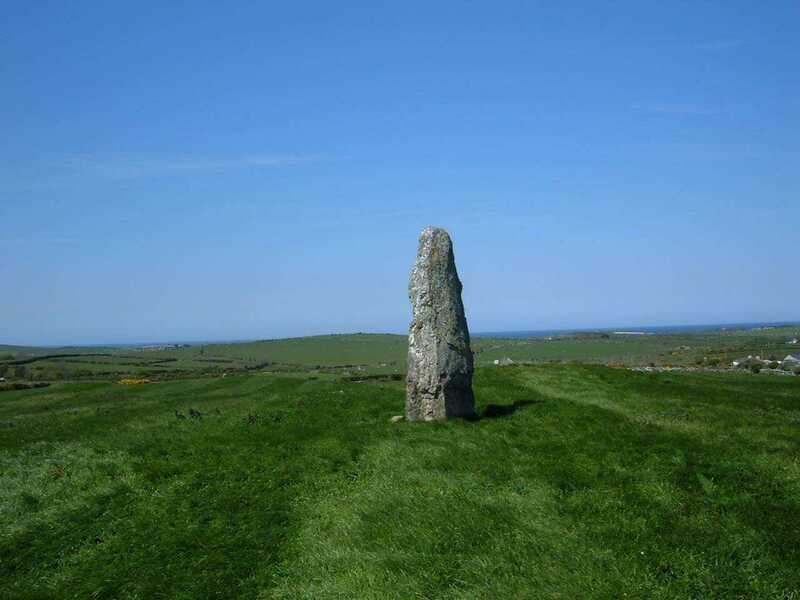 If - as I believe - these stones are memorials to early chieftains, then this was to one held in very high esteem. 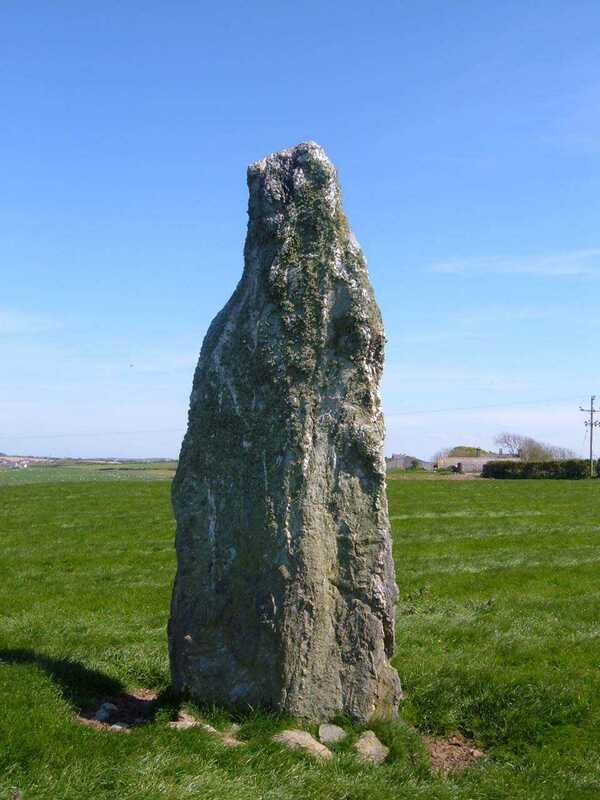 Named after the farm on which land it stands - or is it vice versa?.